Neurogum is a caffeinated chewing gum that is being marketed as a nootropic gum because of its use of L-theanine and it is designed to enhance brain function. 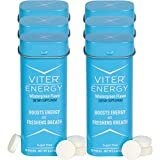 Nootropics are one of the fastest growing supplement industry segments and consists of drinks, shots, mints, pills, and gums all "stacked" with ingredients that promote better brain function. Neurogum recently sent us some of their chewing gum to review. Neurogum is packaged in a small cardboard square that contains 9 pieces of gum sealed in a blister pack. 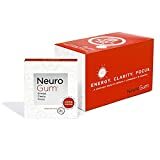 I've tried a lot of "energy gums" over the years and here's how Neurogum compares. Neurogum starts out as most gums do. It hits your taste buds with a semi-strong peppermint flavor that is also moderately sweet. The second sensation is a slightly bitter flavor from the caffeine and other active ingredients, which is typical of caffeinated gums. However, Neurogum did a good job of balancing this with sweetness and the mint flavor. Once this wears off, I was left with a just a cooling minty flavor consisting of peppermint and menthol. Even after 15 minutes of chewing Neurogum, the mint flavor was still going strong. This is an improvement over most of the other gums I've tried. L-theanine: This is an amino acid abundant in beverages like green tea. Studies show that doses of 50 mg or greater seem to relax the brain without causing drowsiness as well as enhances mental alertness and arousal. Caffeine: This alkaloid promotes alertness and delays fatigue as well as stimulates brain function. Vitamin B12: This vitamin offers a protective benefit to brain tissue and adequate levels are needed for healthy brain chemistry. Vitamin B6: This vitamin helps the brain produce neurotransmitters, which are vital for proper brain function. 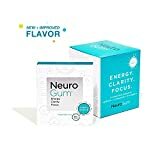 I felt a nice boost from Neurogum within 10 minutes of chewing the gum and the effects seemed to increase over the course of about 30 minutes. In my experience, the effects of the L-theanine take a tad longer to notice than do the caffeine's effects. The gum produced a "calm" alertness and this is due to L-theanine. L-theanine and caffeine make for a nice one, two punch and in Neurogum, they are far more standardized than what would be found in a cup of green tea. Overall, I like this product and believe it is one of the best caffeinated gums I've tried. Their packaging is pretty simple, but I would like to see them place their caffeine content and warning disclaimer in a little more visible location. Right now it's on the tiny bottom flap of the box and is easily missed. Neurogum should be used by adults only who understand their sensitivity level to caffeine and this should be clearly understood by the consumer. How Does Neurogum Nootropic Chewing Gum Compare? 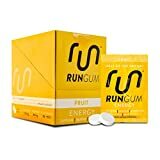 Neurogum Nootropic Chewing Gum contains 40.00 mgs of caffeine per fluid ounce (135.26mg/100 ml).